Accountants continue to spend an average of 2 percent to 4 percent of firm net revenue on marketing. Some firms proactively create and manage their budgets, ensuring that their marketing activities support firm goals. Others barely keep track and are surprised at year end. No matter where you are on this spectrum here are 13 ways – on Friday the 13th – you can waste your accounting firm marketing budget and how to fix it. #1: Spending money to reach the wrong prospects/contacts. Waste your marketing budget by participating in activities that reach the wrong audience. This is especially an issue for B2B companies, including CPA firms that have a limited target market (how many manufacturing companies with sales between $10-$50 million located within 60 miles of your office are there?). Advertising and tradeshows tend to be the biggest budget items, yet much of the audience is often off target, i.e., not the decision-makers. Building a database of your target market prospects doesn’t happen overnight, but it will be the best marketing investment you’ve ever made. #2: Generating leads that aren’t appropriate for your firm. Think of the billable hours you could save by not investing time on new business prospects that you know are inappropriate for your firm. Your firm’s partners need to agree on what constitutes a good lead. Then, it’s the job of the managing partner and niche team leaders to make sure that all partners and the marketing department are in synch, and lead follow-up is where the rubber meets the road. #3: Not following up on leads. Make sure that every good lead generated is passed to the appropriate partner, not necessarily the one with time on his hands. Save time by not chasing leads that are not a good fit for your firm. Consider whether your firm is ready to hire a business developer, marketing director or inbound marketing specialist to manage this process. According to the Association of Professional Salesmen 80 percent of sales are made on the 5th – 12th contact. Yet, most CPAs give up the sales process long before that. Given the long sales cycle in the accounting profession, which can range from several months to several years, your best chance to make a sale is to someone who has already been in touch with your firm. #5. Not paying attention to your current clients. You are probably familiar with the saying, “Acquiring a new client costs more than keeping an existing client.” One of the ways to ensure firm growth and profitability is to focus on client retention. If you don’t have any budget allocated to retention, you are going to force your new business development dollars to work harder than they need to. #6: Not getting the most out of your email marketing. Understanding the science of email marketing will result in a greater return on your marketing dollars. According to HubSpot emails should be optimized for mobile and not include too many images. MailChimp advises that the subject line should change with each email, e.g., avoid using News from XYZ Firm every time; be no longer than 50 characters; avoid the words Help, Percent off, and Reminder; and, avoid using splashy promotional phrases, CAPS, or exclamation marks. Subject lines framed as questions can often perform better. Of course, be sure that the information you convey in your email marketing campaigns are relevant and of value to your audience. #7. Not collecting email addresses. 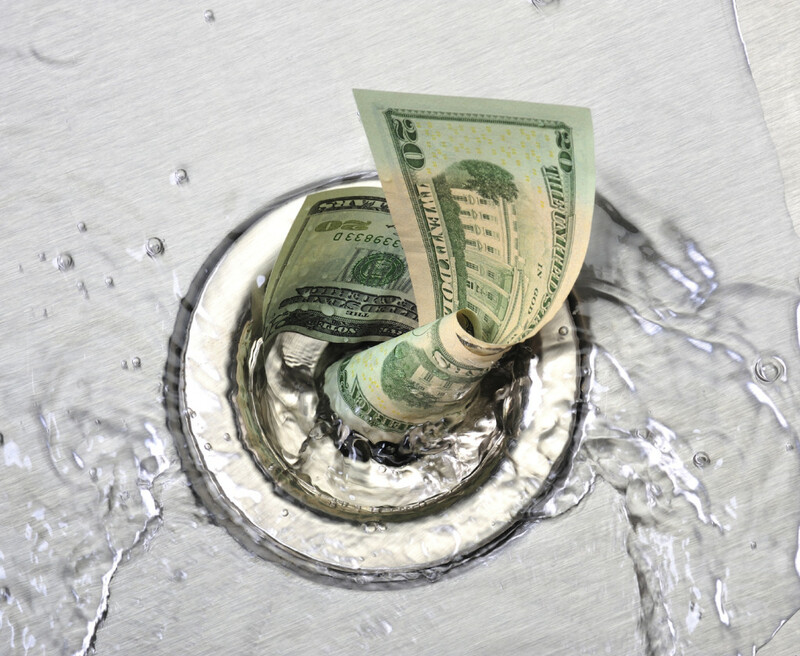 Waste occurs when you can’t reach your clients or prospects directly. Email is currently one of the most efficient vehicles for reaching clients. If you don’t have a reasonable percentage of email addresses you can look forward to years of ineffective e-communications. #8: Investing in passive initiatives without active participation. Sponsoring an event only to have no one attend? Purchasing a table for a local cause dinner only to be filled at the last minute with firm personnel? You can slash your marketing budget by thousands of dollars by eliminating these events – if your team is not committed to participating in the event, which is where you get the bang for your buck. Move all high school yearbook and personal cause ads from the firm marketing budget to a discretionary budget for each partner. And, the Yellow Pages are dead. Discontinue all display ads or special listings now. #9: Losing people on your Web site. All roads lead to your Web site. Any serious prospect will be looking at your Web site multiple times throughout the interaction with your firm—before, during, and after the selection decision. The first thing you need to make sure is that your Web site content is of interest to your prospects. The second thing is to have calls to action that will get your Web site visitors to engage—view a webinar, download a whitepaper, fill out a survey. Last, you need to make sure that you can track these interactions. With this information in hand, you can fine-tune your follow up to match your prospects’ interests and avoid wasting valuable marketing and sales resources. Creating new content is often the bottleneck to new marketing initiatives. Once you have created some good content that will engage your clients and contacts don’t let it go to waste. Your prospects process information in different ways, so you can take the same content and repurpose it in multiple ways. For example, turn your webinar into an article, post it in your newsletter and blog, pitch it as a PR placement, or offer it as a podcast. #11: Not sharing your content on social media. Publishing great content isn’t enough anymore. You have to promote it. Social media helps you reach clients and prospects, and grow your audience. According to B2B Content Marketing 2014 conducted by the Content Marketing Institute and MarketingProfs, the top four social media sites used by B2B marketers to share content are: LinkedIn (91%), Twitter (85%), Facebook (81%), and YouTube (73%). #12: Not knowing what you get for your money. Every marketing activity should be attached to a measurable goal. If it’s not, you probably shouldn’t be doing it. A measurable goal could be number of leads, number of new contacts, number of meetings, opportunities, clients, and all the way to revenue dollars. This will help you determine what’s working and what’s not working, which is important to know as you revise your marketing plan and budget. #13. Not optimizing your current marketing investments. Many marketers aren’t spending enough time optimizing their current marketing activities. Investing in improving current strategies could provide a greater return on investment than launching completely new strategies. The lack of marketing optimization translates to not fully realizing the potential of assigned budget dollars. Want to be sure you’re investing your marketing dollars in the most effective way? Let’s talk about conducting a marketing audit for your firm. Click the button below to start the conversation.